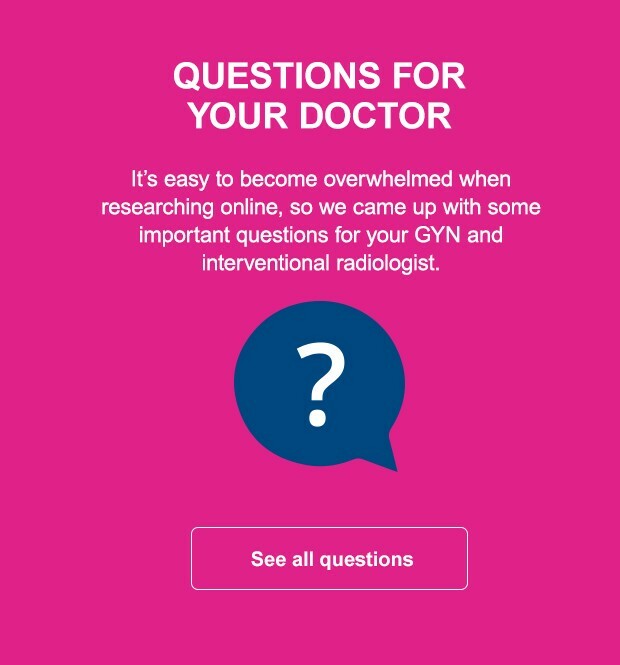 You’ll need to make an appointment with an interventional radiologist (IR). To find IRs near you, just enter your zip code below. 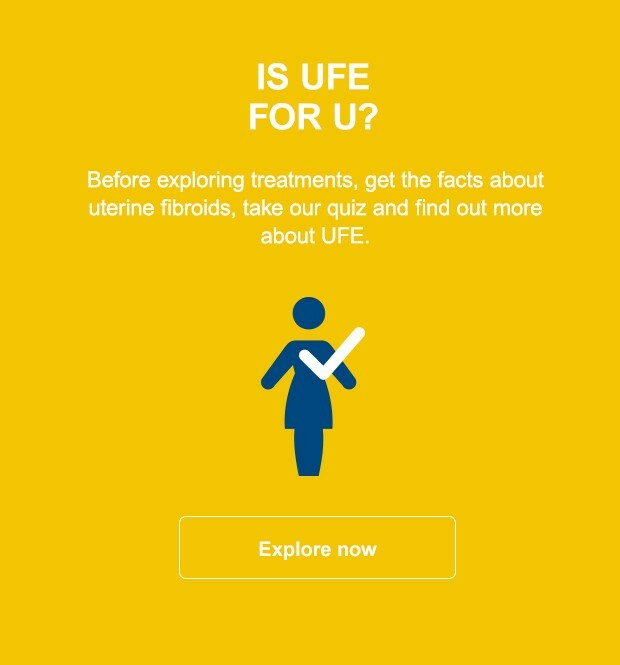 *Are you a doctor performing UFE? Submit your contact information to be included on our doctor finder map. No healthcare provider has paid or received a fee to participate in this directory. This directory is a resource only, and not a tool for verifying the credentials or qualifications of any listed provider. 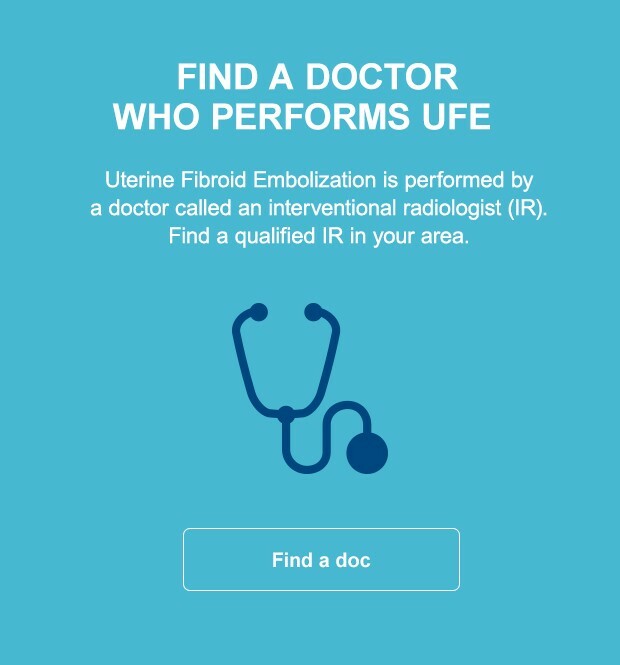 Inclusion does not constitute a recommendation or endorsement of any particular provider, and the listing may not include all providers who perform uterine fibroid embolization in your area. The selection of a healthcare provider is entirely up to you.